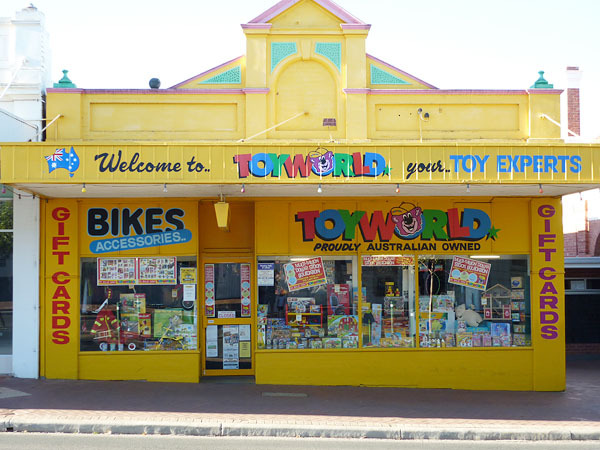 I went down the street with Rebekah this afternoon looking for today’s photo and she pleaded with me to photograph one of her favourite shops. Fortunately for the sake of my wallet it is Sunday and the shop was closed! 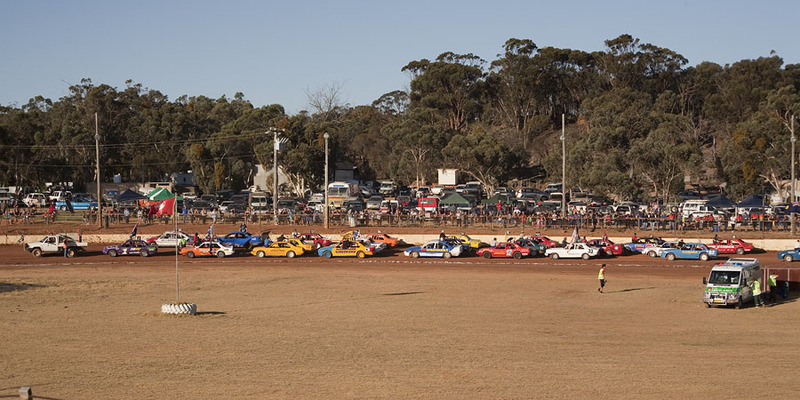 This long weekend sees Narrogin hosting the National Title for Production Sedans. The 83 cars competing all lined up on the track for the opening parade before the first of 24 heats that have been scheuled this weekend. 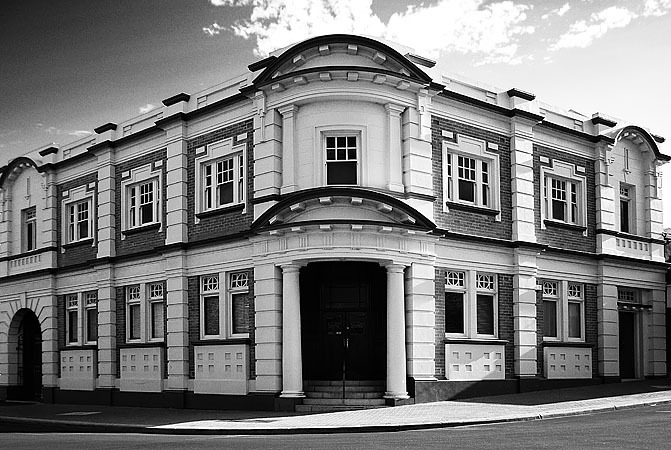 The AMP Building in Fortune Street was built in 1933. It is now occupied by a local Law firm. Rebekah’s kindergarten gives those children who celebrate their birthday during school holidays the opportunity to bring a cake on a normal kindy day to celebrate with their friends. This way they don’t feel they are missing out. 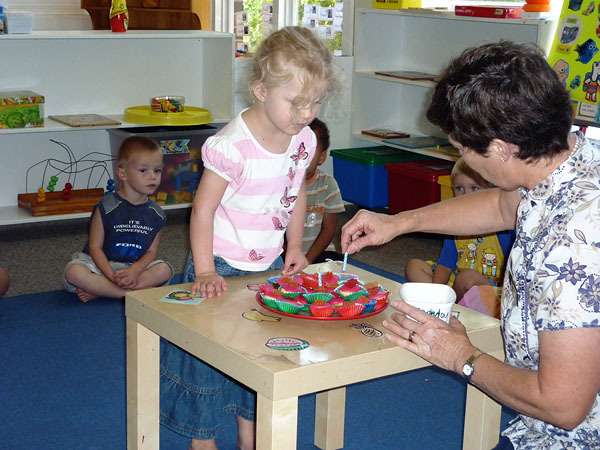 Here Rebekah’s teacher (Mrs McDougall) is assisting with the candles before the traditional Happy Birthday song. I’m not sure if these saleyards are even used any more. 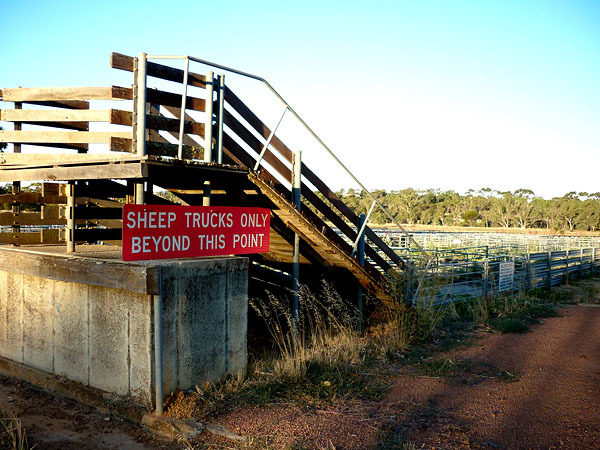 I have memories as a child when my parents were farming of coming here with dad to sell our sheep on regular occasions. What a busy place it used to be on Sale days. As I have not been at work today due to illness I needed to find something close to the house to photograph. 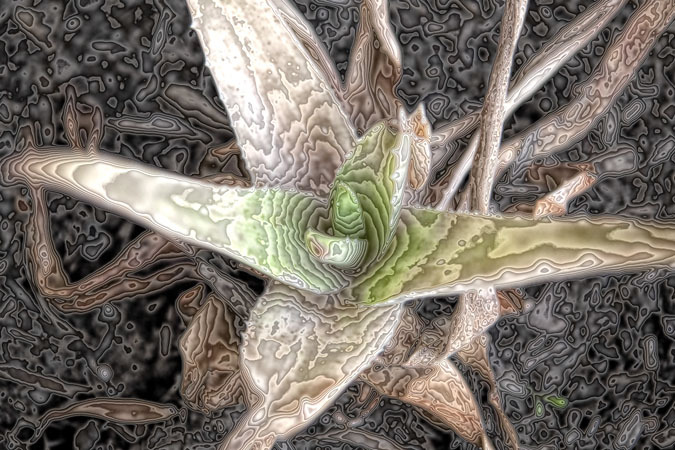 I found a slightly unhealthy looking plant and thought some artistic treatment would offer a different perspective. Another portrait shoot today. They were so easy to photograph. I really enjoy the opportunity to do portrait shoots in natural bush settings. 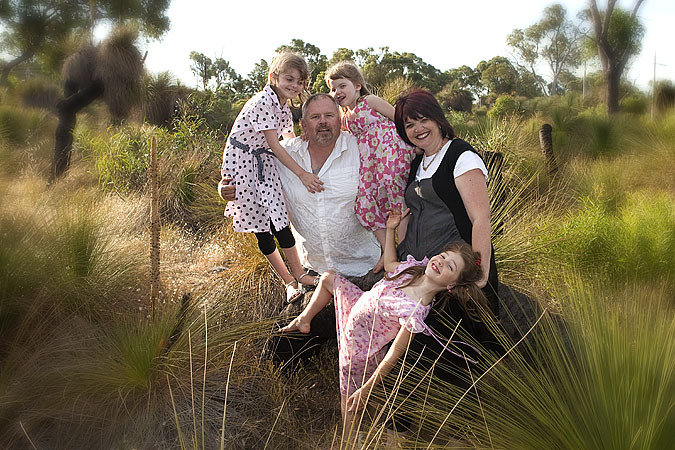 I photographed this family in the bush first and then we went and had fun shooting on the beach. Rebekah had two birthday parties to attend today. 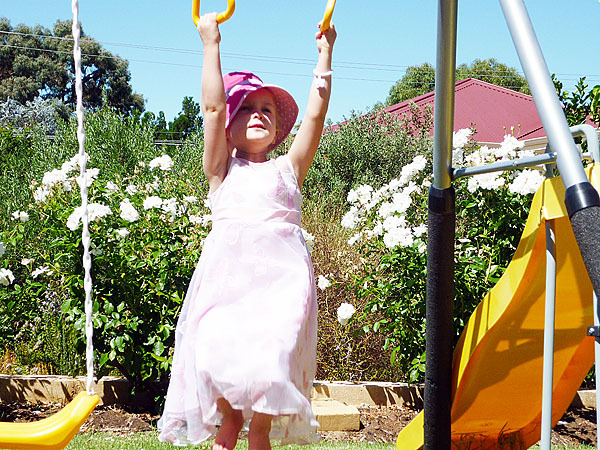 Here she is practicing her aerobics at Neil’s 4th Birthday party across the road from us. 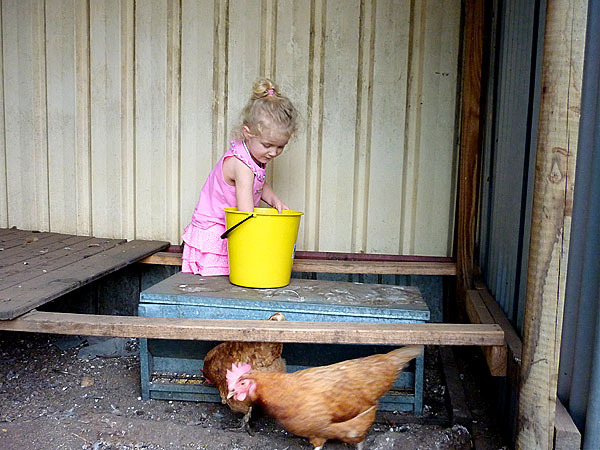 We’ve had these chooks from 2 day old chickens and Rebekah enjoys being the egg collector.